Tricia and Angelica leave Booktown behind for a pleasure cruise, but they’re going to need their life jackets because a murderer has also booked passage in Lorna Barrett’s New York Times bestselling series. But the fun is cut short when a fellow passenger is murdered for real. Is the killer a famous mystery author, one of her fans, or a member of the ship’s crew? As Tricia tries to find the killer before they reach port, she may be cruising for a bruising. In Lorna Barrett’s “A Fatal Chapter,” Tricia Miles has been displaced for seven months because of a fire in her bookstore in New Hampshire. She has called the top floor of the Stoneham Chamber of Commerce building her temporary home ever since. Frustrated with the procrastination of her insurance company to resolve the payment for rebuilding the store, she spends her days volunteering in the chamber office. 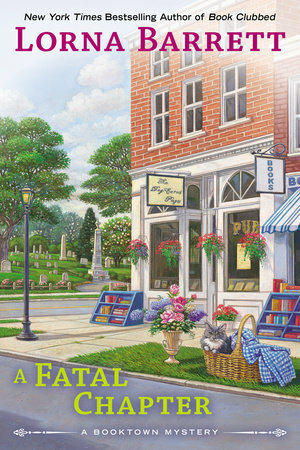 If life isn’t difficult enough, while walking her sister Angelica’s dog, Sarge, she finds the Historical Society President, Pete Renquist, lying unconscious in the town’s gazebo. He was fine hours before when he posed for a photo in front of one of the historical buildings. Renquist was barely able to speak, but told Tricia, “I never missed my little boy,” before he collapsed. Tricia calls for help and the EMT’s rush him to the hospital. Soon after, Tricia learns that her sister is a little more involved in Stoneham than she’s admitted. Also, that Pete died shortly after being transported to the hospital. So now there’s the obvious question: Was he murdered and what was the motive? What exactly did he mean in what he whispered to Tricia? Later on, while speaking with the local antique store owner, Tricia learns that Pete was being threatened. The “why” focuses on something he learned while researching old historical society records. 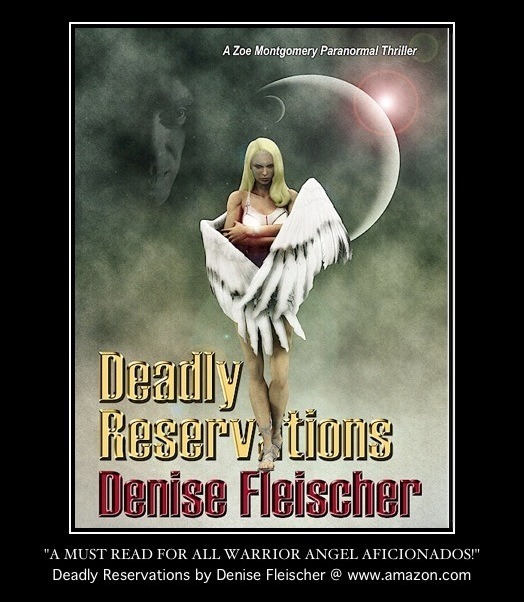 Other dangerous incidents follow that deepen the mystery and make Tricia determined to dig up the truth. A Fatal Chapter’s premise has a very real message: The role historical societies play in every community in the United States needs to be recognized for what it is: a gift and the truth. So much of our lives are altered to other people’s perspectives. You can’t ignore historical documents. Also, I liked the fact that sisters were working together without sibling rivalry for a common goal. What I would have liked to have seen in this book is emotion. I know mysteries aren’t romances, but love is the one aspect of our lives that enables the reader to relate and love a character. I am coming into this series after numerous books have been published and may have missed what I’m talking about, still we need to show (and read about) compassion. We can relate to Tricia’s frustration of not being able to get back to her normal life, but life does continue on. I wanted to know more about Tricia’s plans. If she would find a new partner. If she would live her own life and not do everything for her sister. Also, Angelica had devoted all her waking hours to her town. Why was she so involved in its progress? Sharing memories between the two sisters could have helped me better relate to their past and present. Give me a tight family circle and depth of a story line and I’m happy.